White to move - 32.Kc2? R8a3! 33.Rd3?? Rxb2!! Joke: White fell asleep - oversight. Worse: White could have saved the game via 33.Rcd1. 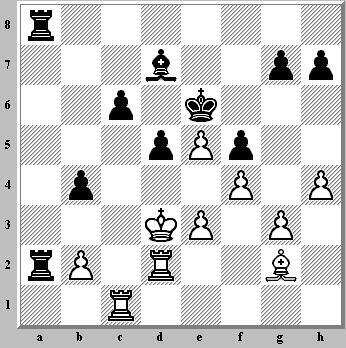 Even Worse: White thought game was lost after move 32.